Are you in the mood for some ‘pasta heaven‘ on a plate? If you are, then here’s a superb recipe, (once the Bolognese sauce is made), that is super simple to make, yet looks as if you’ve worked for hours preparing!!!! This Cheesy Italian Rigatoni Torta is also FUN to make . . . so get your kids or grandchildren in the kitchen with you to place the pasta noodles upright around the pan. 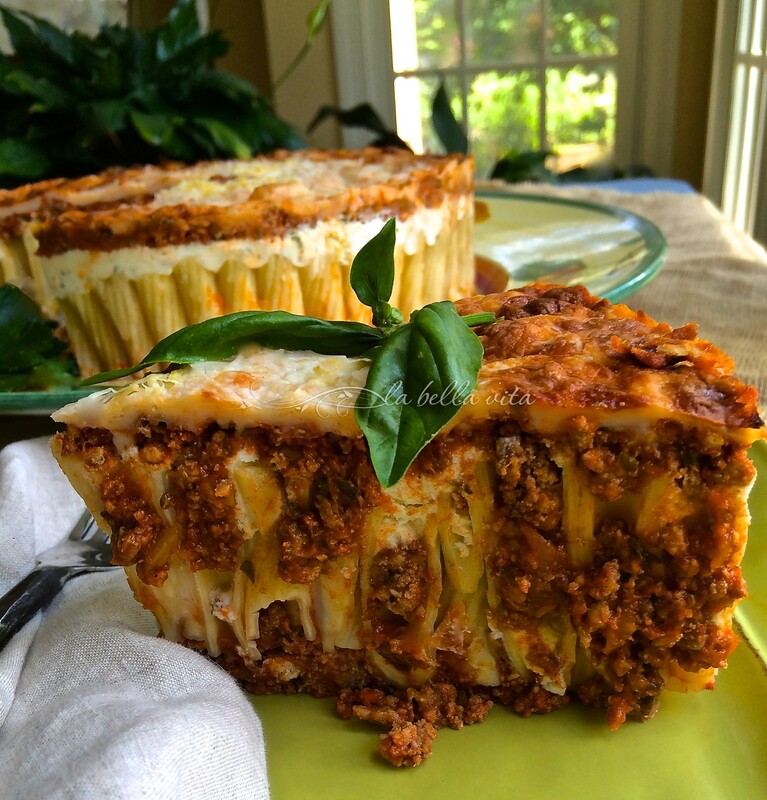 This is what is known as a ‘savory cake’, packed with pasta, plus a creamy, cheesy-herb filling, and then topped with a hearty Bolognese sauce. 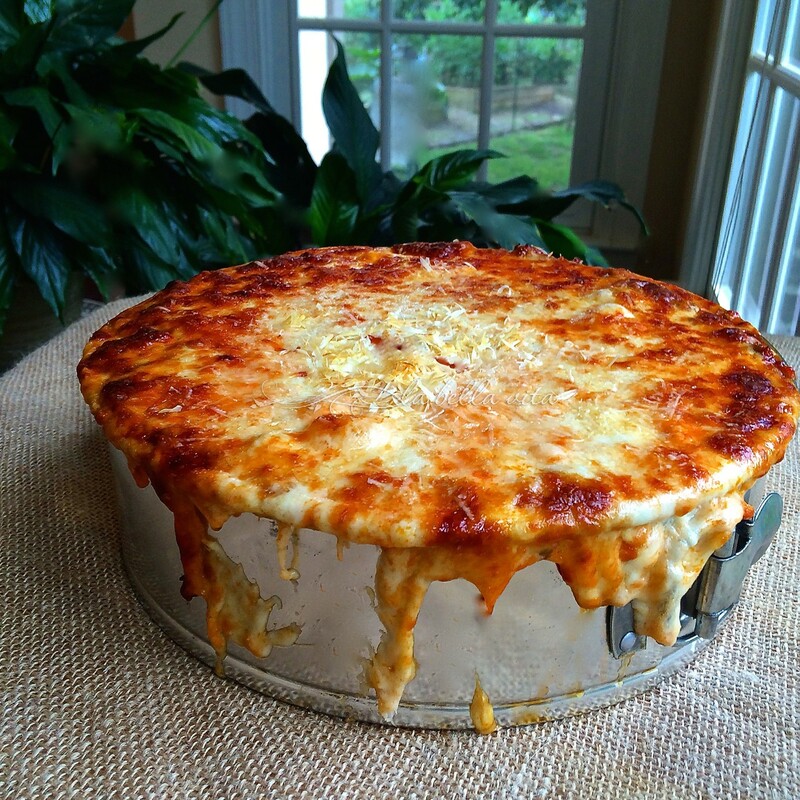 Finally, to make it even better than ever, a thick cheesy layer tops it off to perfection! And oh, you should smell the aroma while this torta is baking! I know that you’re just going to love this! Well, I have lots of folks on Facebook and Instagram waiting for this recipe, so I need to post this recipe for them . . . pronto, as promised! The photos taken as this torta was made is teasing my family and friends to no end! Enjoy the photos of my “step-by-step tutorial“ and recipe! 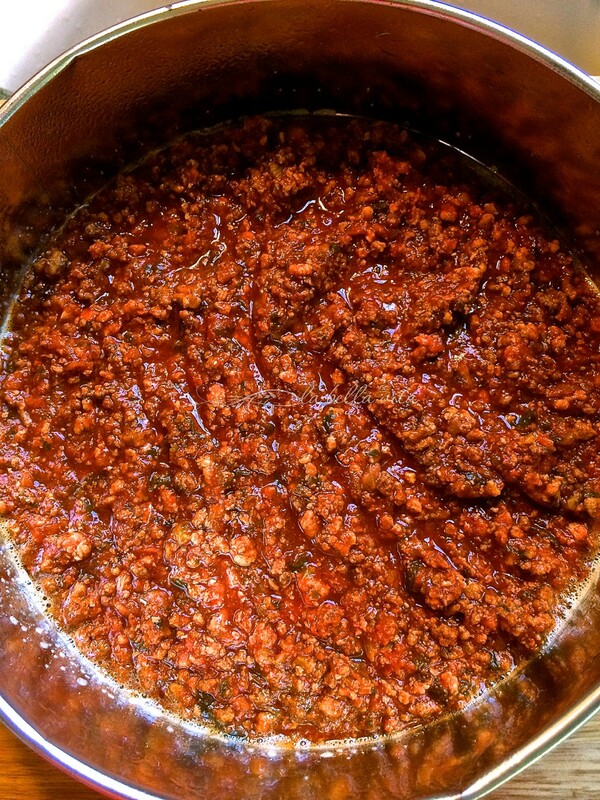 Try to use either a homemade Bolognese sauce OR, if you don’t have this, use the best prepared sauce in your market, that has sautee’d ground beef and pork included in your sauce. 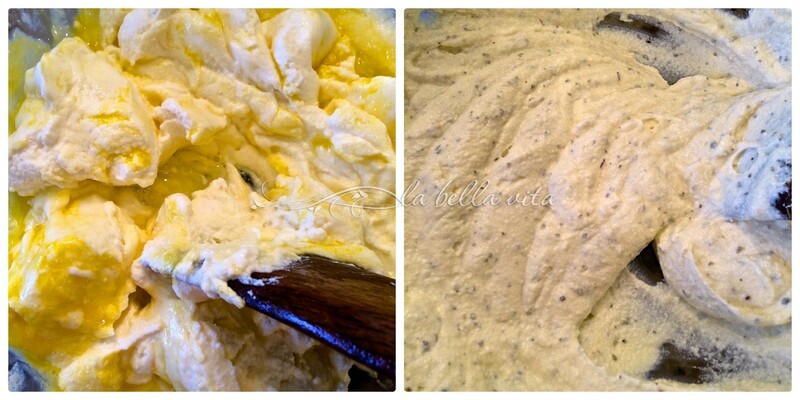 Do not forget to include the Italian herbs in the ricotta/egg mixture! Prepare this a day ahead and allow all of the ingredients to “marry” overnight in the refrigerator and “gel” or stick together so that it doesn’t fall apart when served straight out of the oven. Watch the salt, other than what you put in the pasta water…..allow your guests to salt this to their preference so that it isn’t too salty at first …. that is impossible to reverse. Boil water in a tall, deep pan. Add about a half teaspoon of salt to the water. 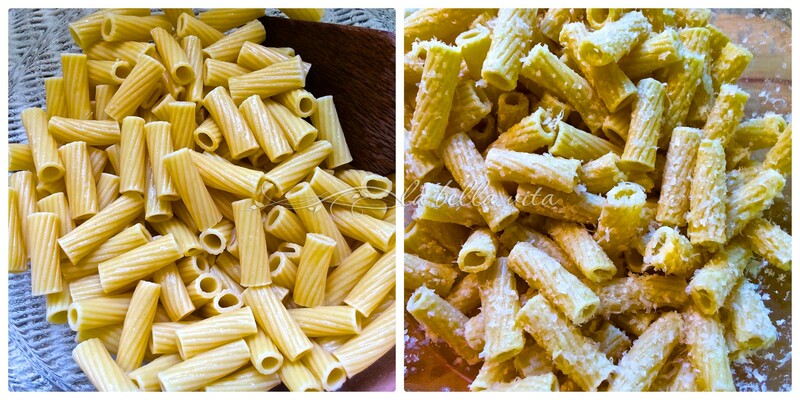 When water is boiling, add the rigatoni pasta noodles and boil for only 3 minutes. In a large bowl, add the olive oil. Then add the rigatoni and toss until all noodles are coated with olive oil. Add the 2 cups of parmesan/parmiggiano and toss so that the noodles are covered with cheese. Spray the bottom of a small springform pan with olive oil cooking spray. Layer a little bit of Bolognese sauce on the bottom of the pan. 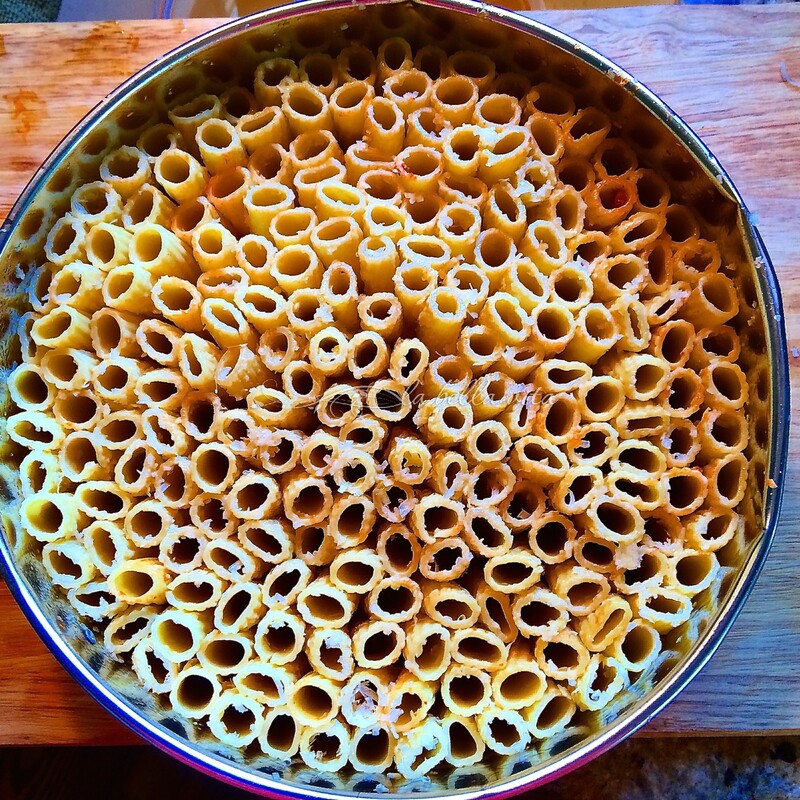 Place the rigatoni noodles vertical around and completely filling the pan. Mix ricotta, egg, and herbs. Pour this mixture over the panful of noodles. Gently tap down so that the mixture can get into and around the noodles. 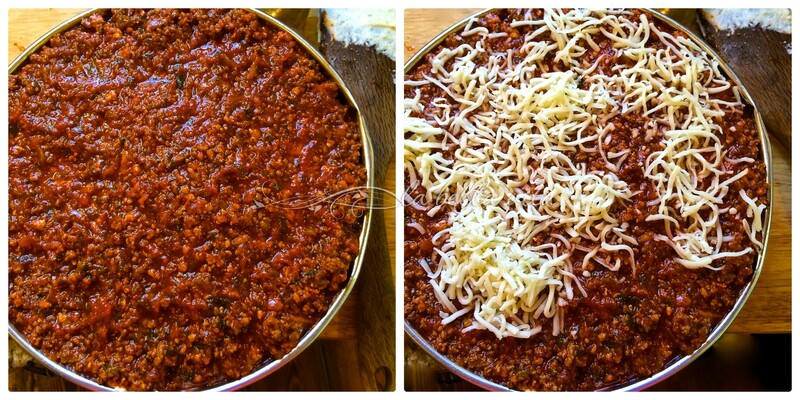 Layer Bolognese sauce on top next and again gently tap down to get the sauce in the noodles. Sprinkle the mozzarella all over and then sprinkle the parmesan/parmiggiano cheese on top of the mozzarella. 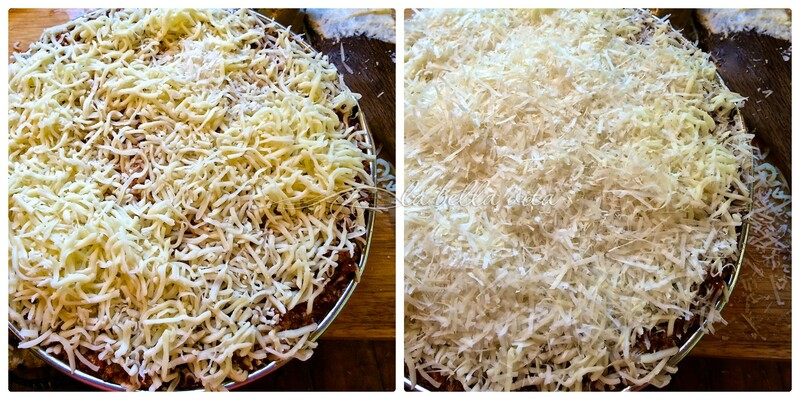 Place the springform pan on a pizza pan or baking sheet to prevent the cheese from melting all over the oven. Bake in a 400 F degree oven for 20 minutes on the lowest rack, and place a pizza pan or baking sheet on the top rack to use as an ‘umbrella’ to help prevent the top of the torta from burning. Turn the heat of the oven down to 350 F degrees and bake for another 15 minutes, watching so that the top does not burn. Remove from the oven and allow to set for 15 minutes before serving. Better yet, let the torta set overnight and reheat the next day. This helps prevent the torta from falling apart just after baking. When ready to serve, take a very sharp, thin knife and run it as close to the inside wall of the springform pan ring in order to ‘loosen’ the rigatoni noodles away from the pan walls. Slowly and carefully, remove the springform ring. With a long knife, run the knife between the bottom of the torta and the bottom of the springform pan base. If you don’t have homemade Bolognese sauce on hand, then you can use your favorite pasta sauce with sautee’d beef and pork blended in. But for the real deal . . . use homemade sauce whenever possible. vertical layers of rigatoni, Bolognese sauce, and cheese! BEAUTIFUL CHEESINESS after baking in the oven! Every now and then someone wonderful tries one of your recipes, even if it is imperfect! Then that kind individual chooses to share it with special friends to enjoy and experience. But it doesn’t stop there! Isn’t this just one of the beauties of the Internet and blogging? I know that is a blessing to me! I hope that you enjoy Peter’s video. Peter can answer your questions about the trials and rewards of preparing this Italian Rigatoni Torta . . . PLEASE KNOW THIS: The best food bloggers welcome ways to improve recipes and do not claim to know the ‘perfect’ recipe. So feel FREE to join in and let me know what can be improved in ANY recipe that is shared here on “La Bella Vita Cucina”! And now, give yourself a BIG TREAT and watch Peter’s video of preparing this delicious Cheesy Italian Rigatoni Torta! “In The Kitchen With Peter” step-by-step video instructions! After watching this cooking video, do yourself a a big favor and “Like” Peter’s Facebook page ! Here are Peter’s step-by-step photo instructions! Lastly, if you would like to prepare one of the recipes that I have shared here on “La Bella Vita Cucina”, it would be my utmost pleasure to share your photos and thoughts (even with recommendations for changing the recipes). Know that you will be sharing your website or blog with thousands of like-minded people! This is INSANELY beautiful! What a showstopper! Can’t wait to prepare this AMAZING recipe! I so love your blog! Your recipes never fail! So glad you loved it! You’re my best and sweetest person to serve up the love! Thanks Lynn! How do I write to you to thank you personally? I can’t wait to try this! Just looking at is making me hungry…time to get in the kitchen and make this beauty!! I’m so glad that you made your own torta for your guests Peter! Thank you for giving me permission to share your link and your photos here on my blog! This is absolutely beautiful. I am salivating just looking at the pictures! Will be trying this recipe soon! Now, I have to go and dry off my computer desk!! Thank you for your kind comment Diane! I wish I knew how to thank you personally since I don’t have an email or blog address to do so! I hope that you get this message! o my..this is torturing me, Roz. It looks just way too gorgeous!! You’re too funny Angie! You put me through a little bit of torture too with all of your beautiful creations! I’ve never had this type of torta. It looks delicious. All that cheese is over the top. 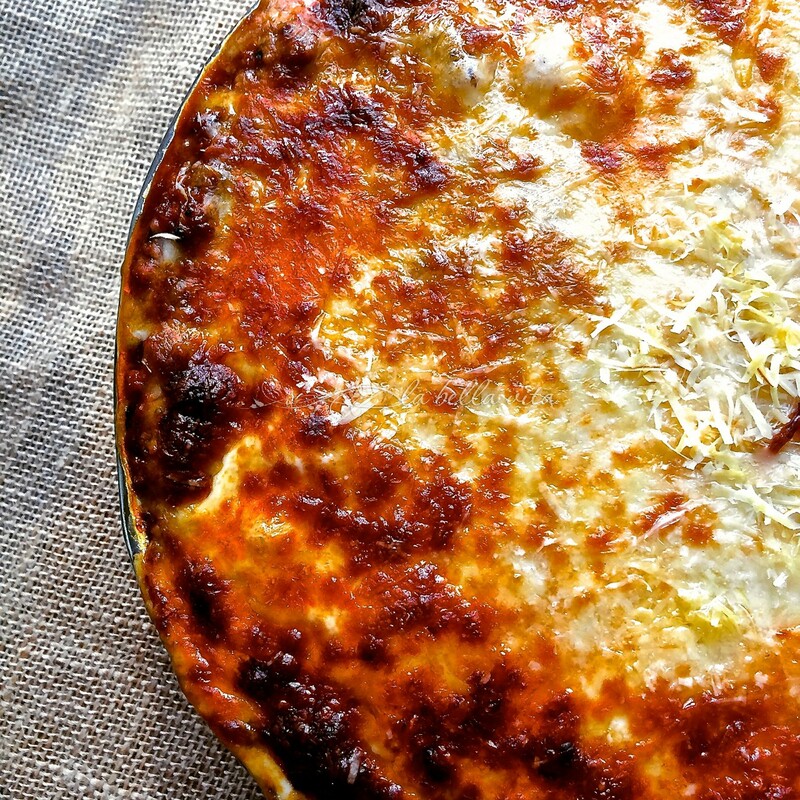 You’ve got that right Annamaria: cheesy cheesiness is a priority in great Italian recipes! The more the better in my little opinion! Way to go, Roz! It definitely looks like heaven on a plate and I can imagine how delicious it is, with all that cheesy goodness! I swear I can smell the aroma now! I’ve never made a savory cake so this is a must try. It’s gorgeous!!! Hi Pam, Actually savory cakes are a snap to make and so delicious! Let me know when you make one! Wowee!!!! I’m definitely going to have to make this!!! If you make this Mindy, do so when you can turn on your oven for the heat in your home . . . way to hot outside to bake this in summer (now). Get ready for some ‘wows’. 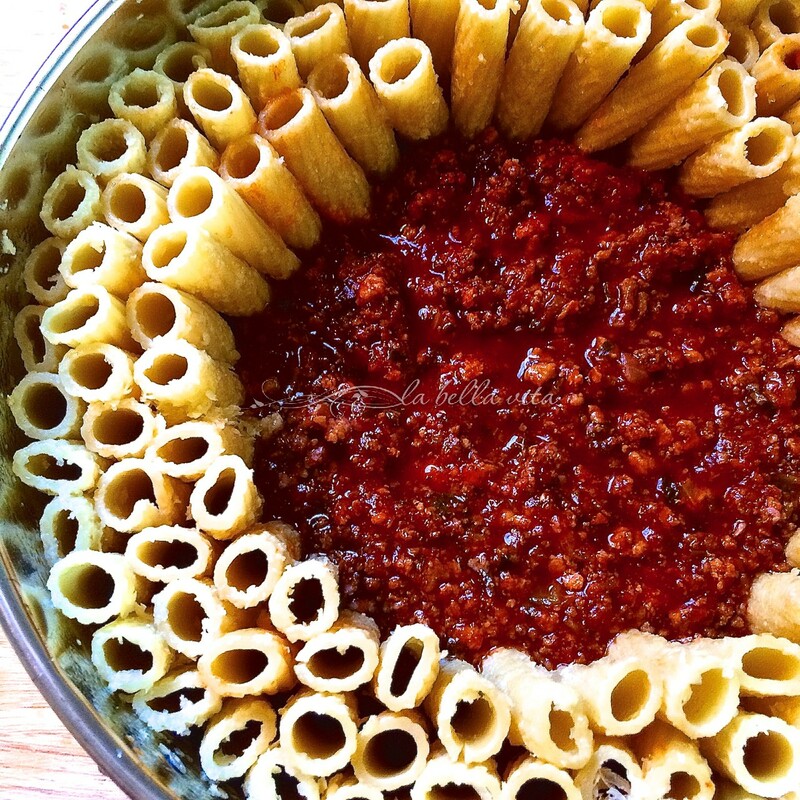 Serve with lots of extra sauce on the side that doesn’t get down into the tubes of the rigatoni! Great for your kids to get in the kitchen with you too! Oh, my gosh, Roz! This is an Italian masterpiece! I hope to try it out one day—I know my family would love it!! You’re too funny, Liz! This was certainly fun to make, that’s for sure! Wow, that is pasta heaven, Roz! What a beautiful presentation too! I have to try this for my family soon. Thanks Susan! It was fun to make and a new cooking challenge for me. Let me know if you try it and I’ll share your results here and a link to your blog. Others took the words out of my mouth – it’s a real showstopper Roz. What a beauty to serve to guests. Their mouths must have been agog when they saw it, and I’m sure their stomachs were happy to eat this beauty. Oh thank you Linda! The truth is that I think that all Italian recipes leave our family and friends’ mouths ‘agog’, it’s just such an amazing gift to us. Thank you for the wonderful recipes and sojourns in Italy that you share with all of us! Oh my, this is amazing! Comfort at its best. Thanks so much Joanne! 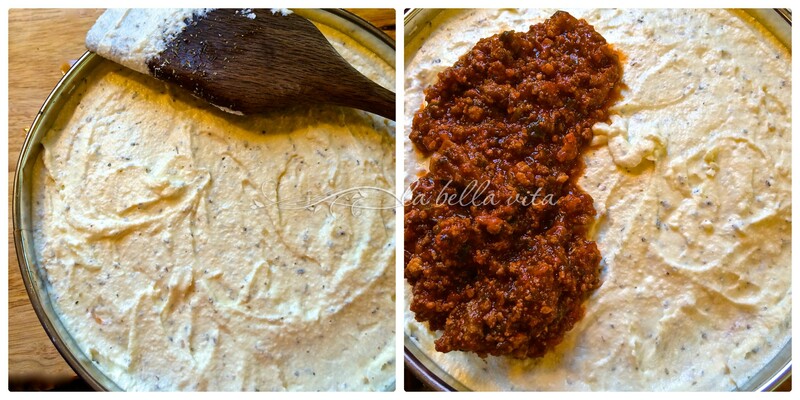 It can also be made with a simple marinara (non-meat) sauce for your vegetarian preference! OH my goodness! What a beautiful presentation and who could pass this dish up? NO ONE! lol…. Thank you Anna and Liz! Sorry that I’ve been so M.I.A. in the blogging world. My mother’s health was my priority. I’ll stop by soon! Grazie mille, thank you Zaza! I appreciate your visit and comment and will be right over to your blog too! Oh my! This is just stunning! It must taste amazing, too. I would love to try it some time. Was it very difficult to get out of the springform pan? I love the shot of the inside of the pie where you see the cheese and sauce inside each individual noodle. So fun! You have outdone yourself, Roz! Hi Shari, It wasn’t difficult to get out of the springform pan and I think it was because I sprayed the heck out of it on the sides and bottom of the pan, plus a ran a butter knife around the sides of the pan to loosen it up. Then I turned the thing over, gave it a gentle pat or two, and said a prayer for it to come out OK, and wha la! It did. Now that doesn’t mean that I’ll completely flop it the next time though! LOL! Just an amateur in the kitchen is all . . . nothing professional! Ciao Roz , arrivo ora dal blog di Chiara, Ti faccio i miei complimenti per la tua fantastica torta di rigatoni , è una vera meraviglia. Un saluto, Daniela. Hello Roz , arriving now from the blog of Chiara , I’ll give you my congratulations for your great pie rigatoni , it is a true wonder . Greetings , Daniela . 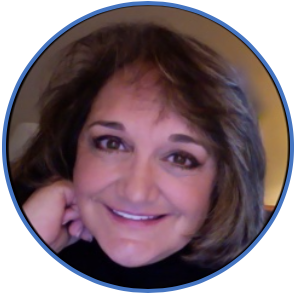 Hello Alessandra, Thank you so much for visiting my blog and enjoying it. I will come and visit your blog now and follow your delicious creations! I hope you have a beautiful day in Italy!!! Vengo dal blog di Chiara, piacere di conoscerti. Hai un bel blog e si vede il tuo amore per l’Italia, questa ricetta ne è un esempio. A presto! Così bello conoscerti troppo Fr ! Benvenuti nel mio blog ; Verrò a visitare il tuo blog troppo e imparare di più ricette italiane da voi. Avere una bella giornata ! So nice to meet you too Fr! Welcome to my blog; I will come and visit your blog too and learn more Italian recipes from you. Have a beautiful day! I come from the blog of Chiara , nice to meet you . 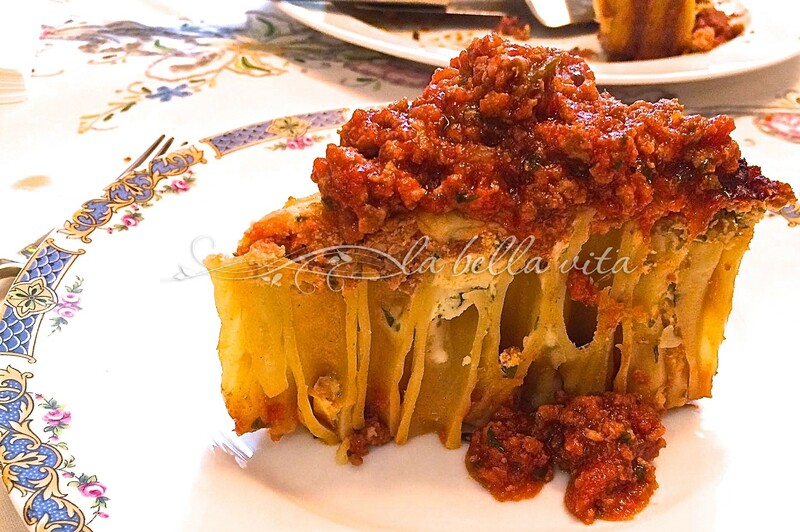 You have a nice blog and you see your love for Italy , this recipe is one example . See you soon! Ciao Roz, arriviamo dal blog di Chiara e siamo felici di conoscerti! Hello Roz , we come from the blog of Chiara and we are happy to meet you! It has been so much fun to meet some of your friends in Italy. 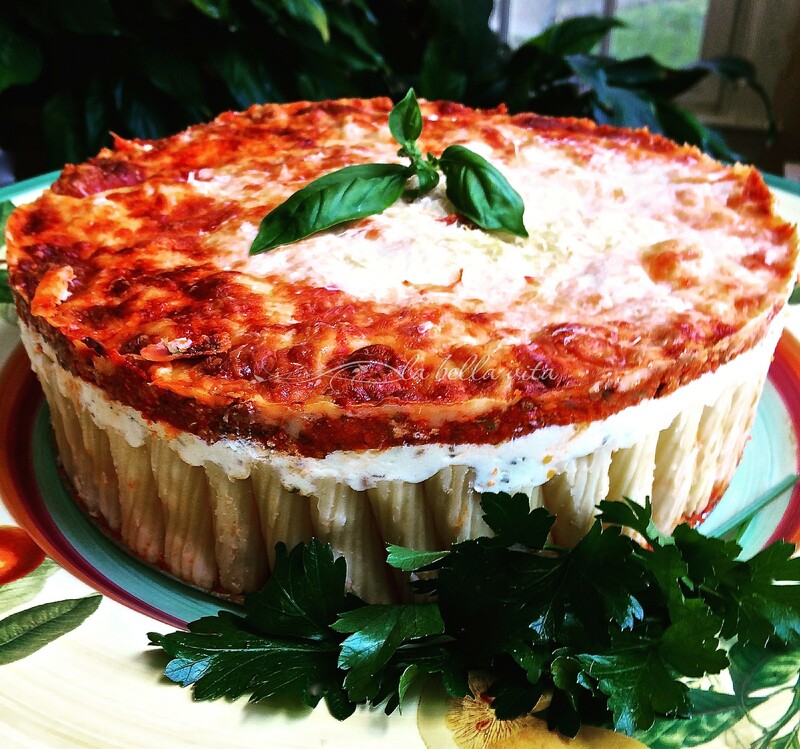 I have visited their blogs to follow along and learn more ways to cook authentic, delicious Italian specialties. Thank you for introducing me to them!!! Now I feature you on my blog very soon! I hope you enjoy your holiday in the Dolomites. How beautiful! Google translation: E ‘stato così divertente per incontrare alcuni dei vostri amici in Italia . Ho visitato i loro blog per seguire insieme e imparare di più modi per cucinare autentiche , deliziose specialità italiane . Grazie per avermi fatto conoscere loro !!! Ora vi rendere rilevante sul mio blog molto presto ! Spero che ti piace la tua vacanza nelle Dolomiti . Che bello! Please let me know how it turned out!!!! OMG! This dish is incredible!!!! I’m haven’t been this impressed with a dish in a very long time. It reminds me of the paste dish that was made in the movie Big Night. Amazing Roz! I would pay A LOT for this in a restaurant because the experience of eating such a dish would be a once in a lifetime meal. Blown away…..
Wow, now that’s what I call a SUPER complimentary comment MJ! This is wonderful Roz !. I m making a test. When you can go to my nlog and try hugs! I made a second try!